Do you get alarmed on watching the ever-increasing numbers on your weighing scale? Do you resolve every New Year to lose weight and turn over a new leaf? Are your near and dears worried about your health checkup reports? If yes, you are not alone and you need not to be alarmed. Mobile health and fitness apps are here to the rescue. This is one of the fastest growing sectors of the IT industry. And to nobody’s surprise. 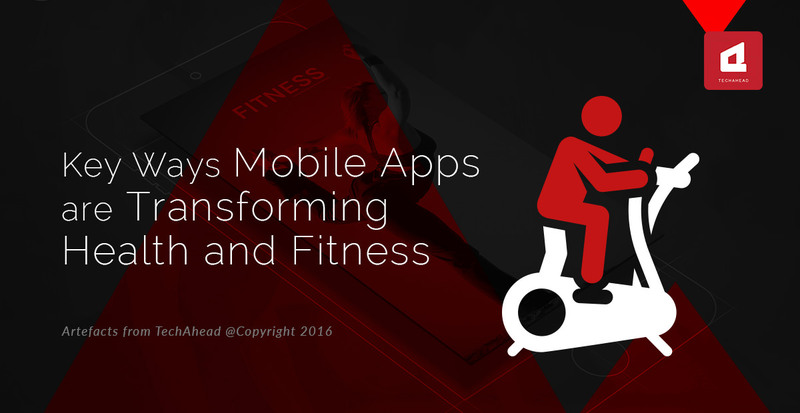 Today’s mobile apps can help you stay in shape in a myriad of ways. Whether you are a novice or an aficionado, there is a health and fitness app for all. 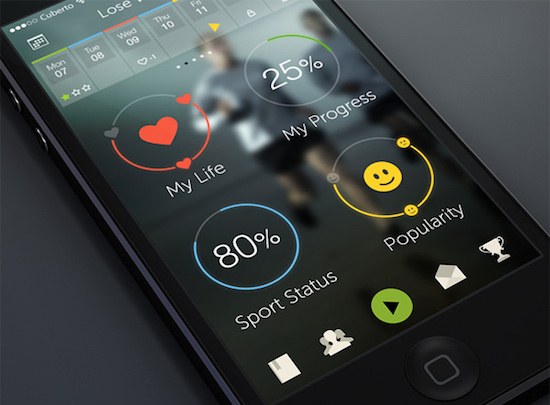 How do the mobile health and fitness apps help the user? You no longer need to go hunting for a yoga class or gym in your neighborhood or hire costly personal trainers to lose weight. Just look up a suitable app which meets your needs, install it on your Smartphone or Android and start pumping. Distance and money can no longer prevent people from exercising. There are many of us who aspire to look like supermodels regardless of our lifestyles. We may be trapped in sedentary lifestyles and jobs which offer little or no opportunities for fitness. Setting up an unreachable goal at the beginning of our workout regime can be the catalyst for starting the fitness regime, but is hardly sustainable. Apps like Couch to 5K help to set up realistic goals within our desired time frame. They take us to the next level of exercise only after we achieve the previous target. This helps in sustaining our exercise regime which is the hardest challenge for beginners! There are mobile apps which will need you to put data like your calorie intake, your daily routine, your fitness regime and your fitness goals. They will monitor your calorie intake and calories burnt throughout the day. They will offer encouraging comments throughout your workout regime and tell you how to perform a particular exercise. Myfitnesspal and Edmundo Sports Tracker are apps which store our personal workout history and motivate us to outdo our best performance. Running apps like Runtastic help us to see our running progress. If you are bored of your running workout, you may use apps like Zombies run to change your regime and make it more interesting. This app turns your daily runs into epic missions. Each run you go on is like an episode of a zombie show and you’re the main character. All you need to do to get started is to start a mission and listen to the story as you run. What makes it more exciting is that you hear zombie sounds as you run and the only way to get away from them is to get moving. Often we feel dehydrated while running. There is an app to monitor your water intake as well! It’s called Waterlogged and it pushes you to take water at regular intervals during your run. Apps like Jefit and Body fitness are advanced apps which suggest new resistance training workout for specific muscles in our body. The Yoga app and Tai Chi are more apps which gives specific pictures, instructions, and videos to improve your work out and stretch-on-the-go. It is well-accepted fact that for losing weight and improving our overall health, diet is as important a factor as our fitness regimes. If you are concerned about the food you are eating, there is no shortage of apps to advice you about healthy options of food to choose, the nearest dietary store or restaurant, healthy methods of cooking a particular foodstuff and calculate the number of calories you consumed and need to burn! MyNetDiary and CalorieCounter are two popular apps in this category. Some health apps like iMapMyRide, FitGang and iMapMyFitness are linked to social networking sites like Facebook. They help us to connect with people having the same fitness goals and following the same fitness regimes. This helps to build an inspiring community of health lovers and even offer healthy competition among the members. Now that you are aware of the benefits of using mobile health and fitness apps, do not waste more time for healthcare app development, if you have an app idea. All the best for that! Mobile apps can help you stay in shape in a myriad of ways. Whether you are a novice or an aficionado, there is a health and fitness app for all.